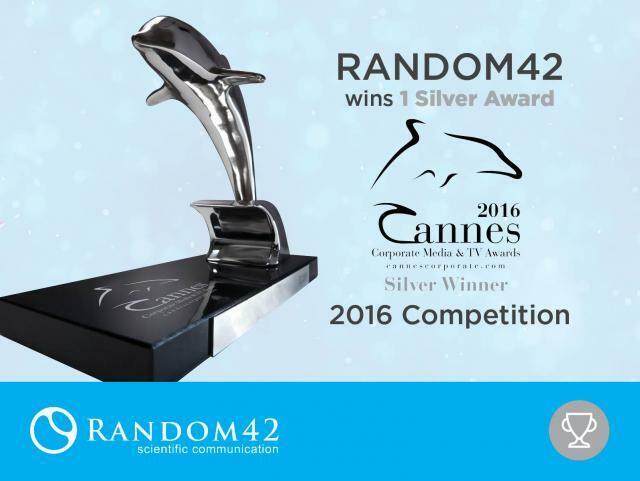 We are very happy to announce that Random42 have won a Silver award at the 2016 Cannes Corporate Awards for the video we produced on Systematic Lupus Erythematosus. Now in its 7th year, the Cannes Corporate Media & TV Awards pride themselves on honouring the world’s finest corporate films, online media and TV documentaries. The international competition is open to film producers, clients, agencies, TV stations, as well as students. This animation highlights the pathogenesis of Lupus, an autoimmune disease where the body’s own immune system attacks healthy tissue. This animation was created for healthcare professionals and is currently being used globally. This will be the 6th Cannes Corporate Award for Random42. Previous wins over the last few years include 3 Gold and 2 Silver Dolphins for scientific storytelling and medical animation services.